« Growing Patterns: Fibonacci Numbers in Nature is Published! 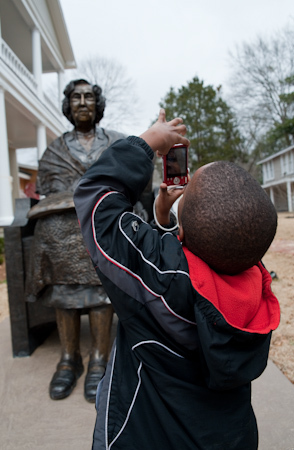 This student worked very hard to frame this statue of Eudora Welty, which is on the grounds of The Commons at Eudora Welty’s birthplace. 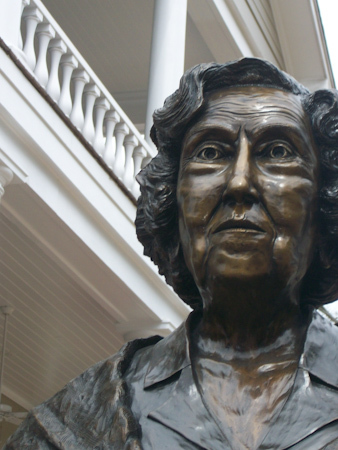 The bronze statue of Welty provides an interesting subject for the students. They are always interested in knowing why she was so tall. Jonathan Sims, the artist-in-residence at The Commons, showed the students some of his sculptural works in progress so they could understand the process. I enjoyed looking at the students’ photos when they returned from their visits. It is always fun to see through their eyes for a bit. 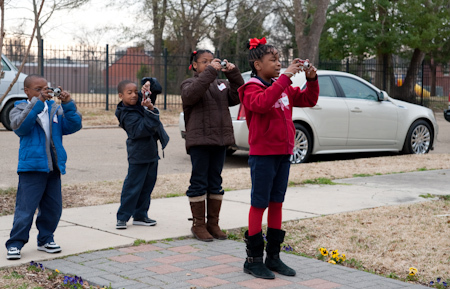 This is such a good idea–having students visit their neighborhood, meeting the people who live and work where they go to school and asking them to look at the neighborhood through the lens of the camera. It is always a surprise what they see and how they frame what they see.